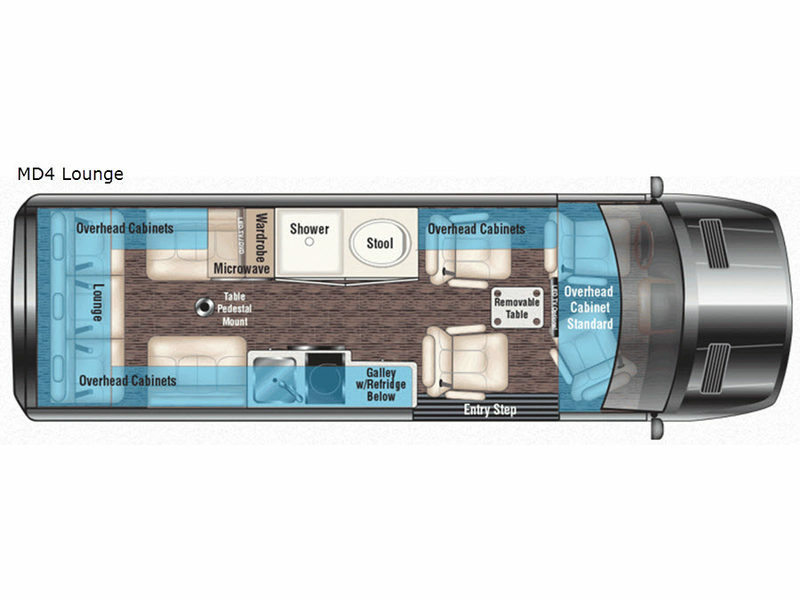 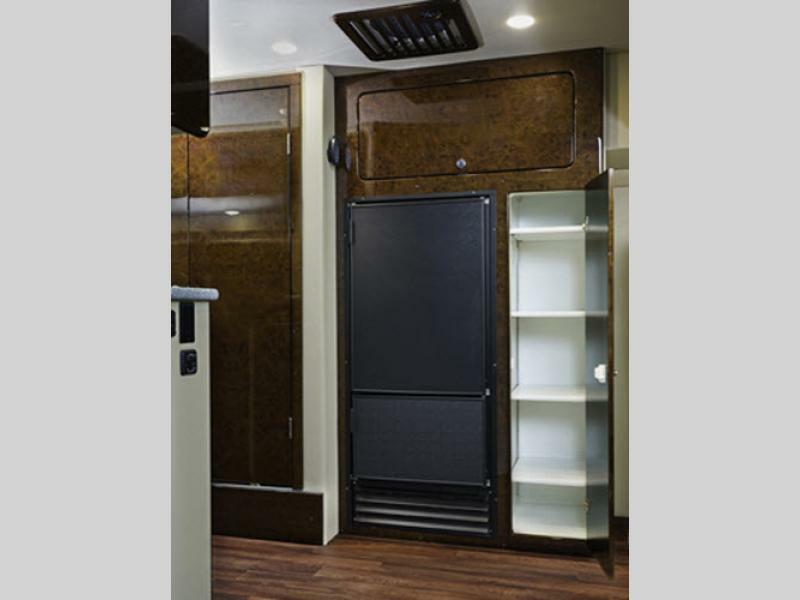 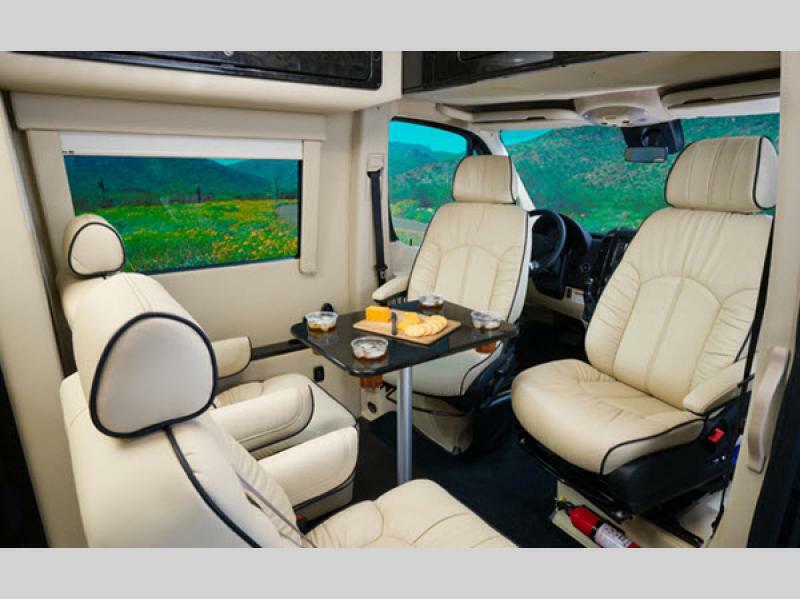 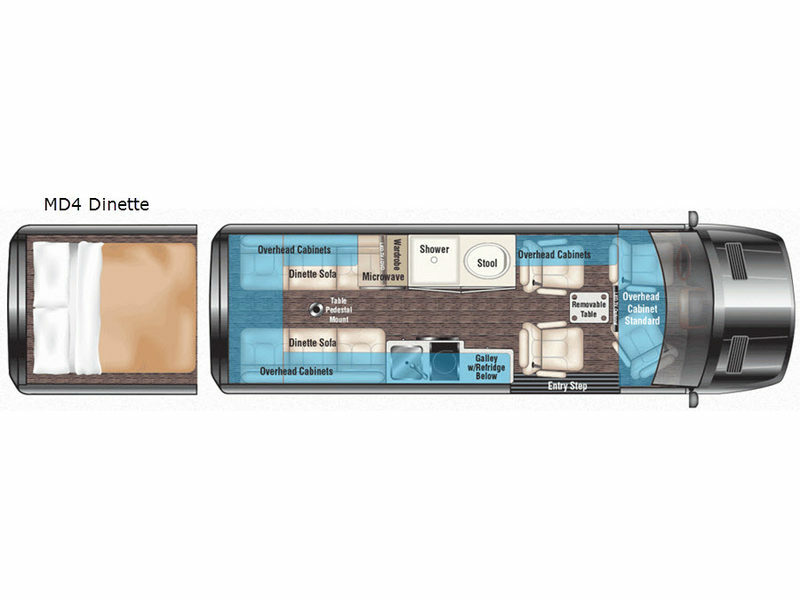 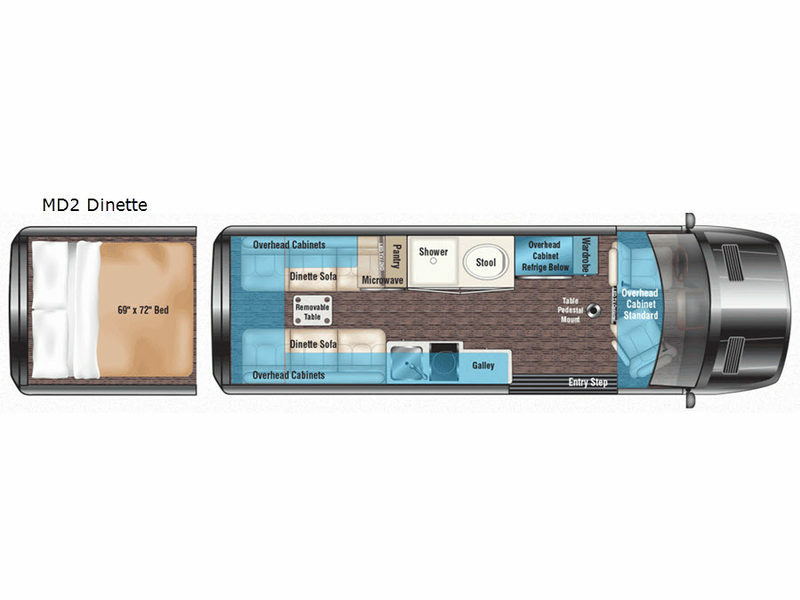 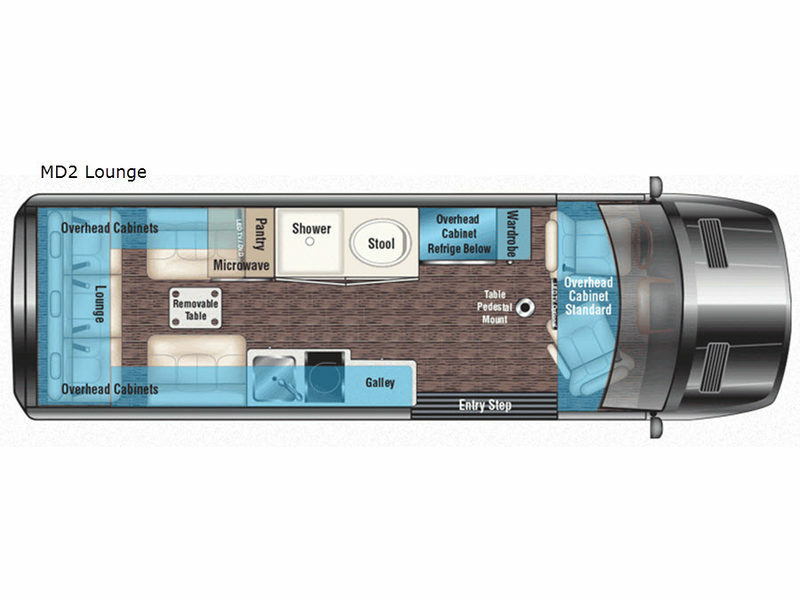 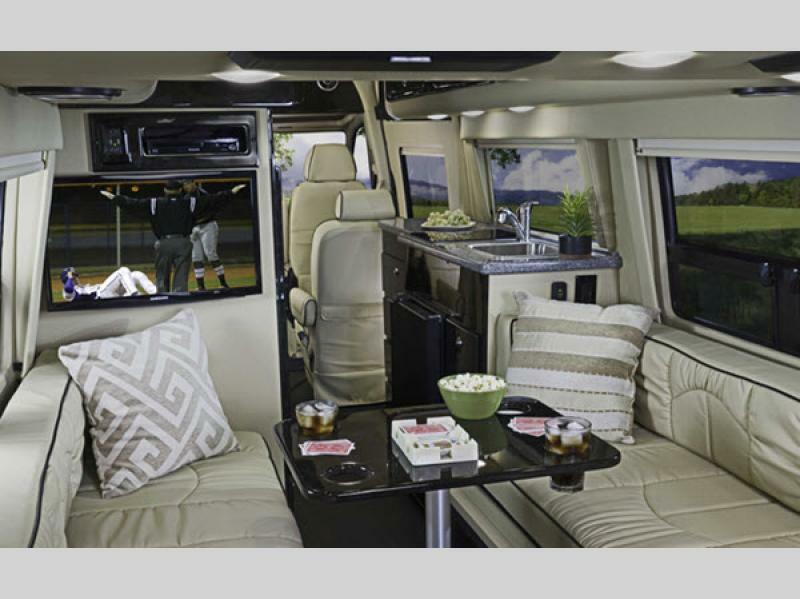 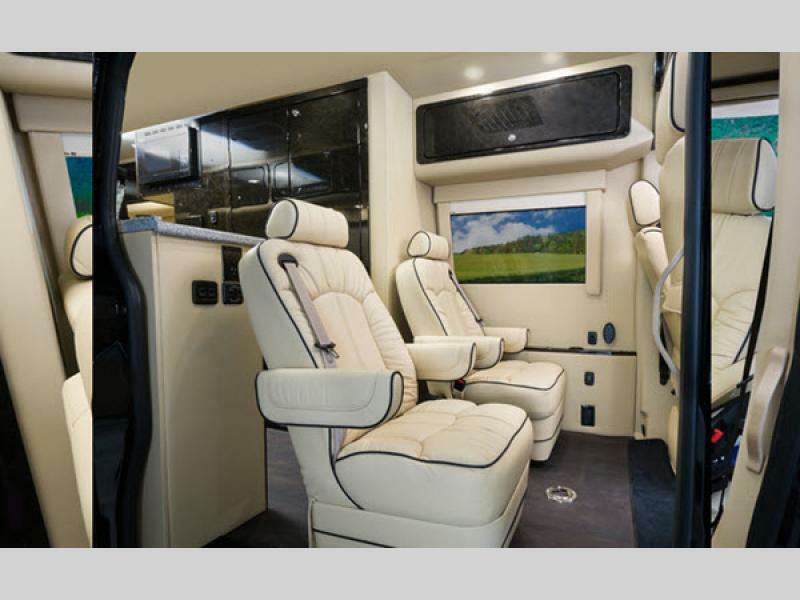 It's time to travel in luxury anywhere and everywhere you go in a Passage class B diesel motorhome by Midwest Automotive Designs. 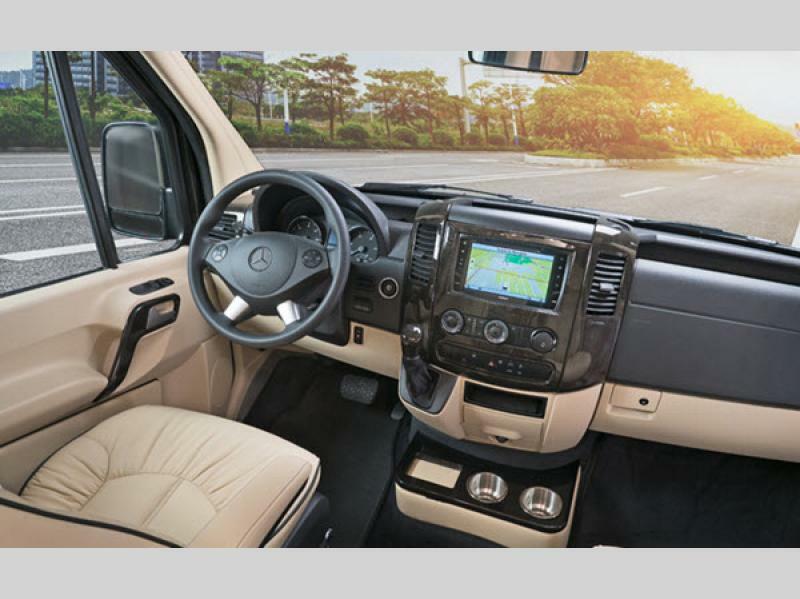 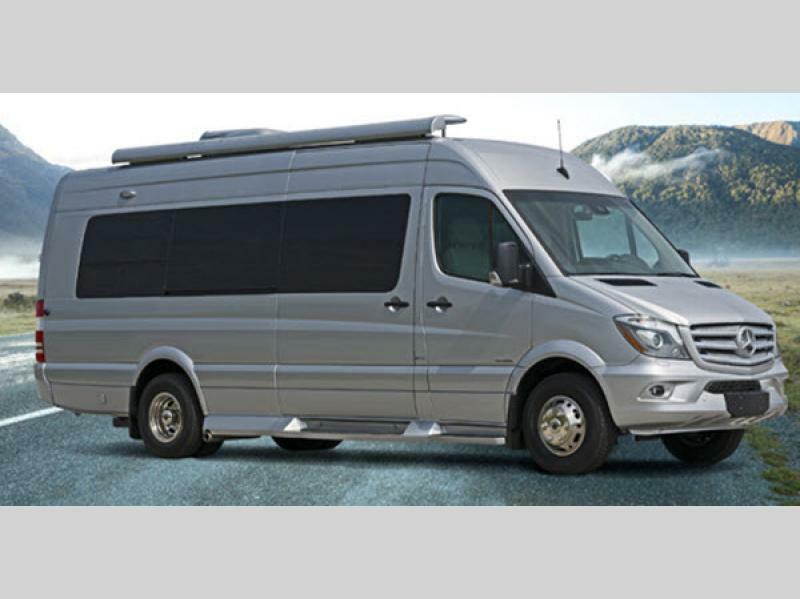 The Passage is built on a Mercedes-Benz Sprinter chassis with a Mercedes-Benz diesel engine. 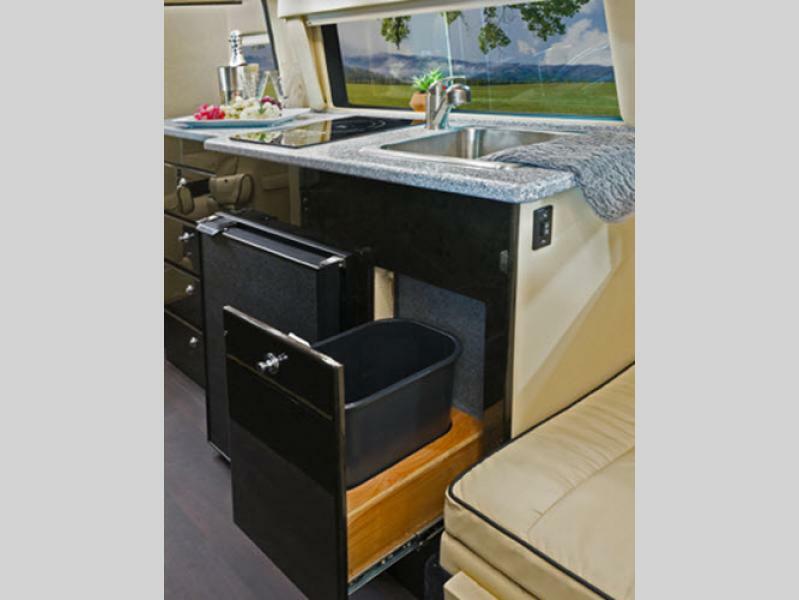 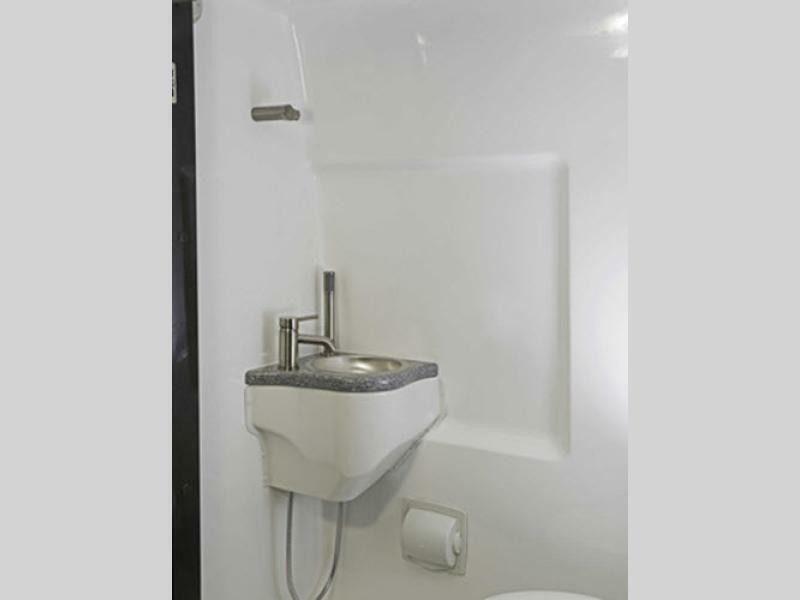 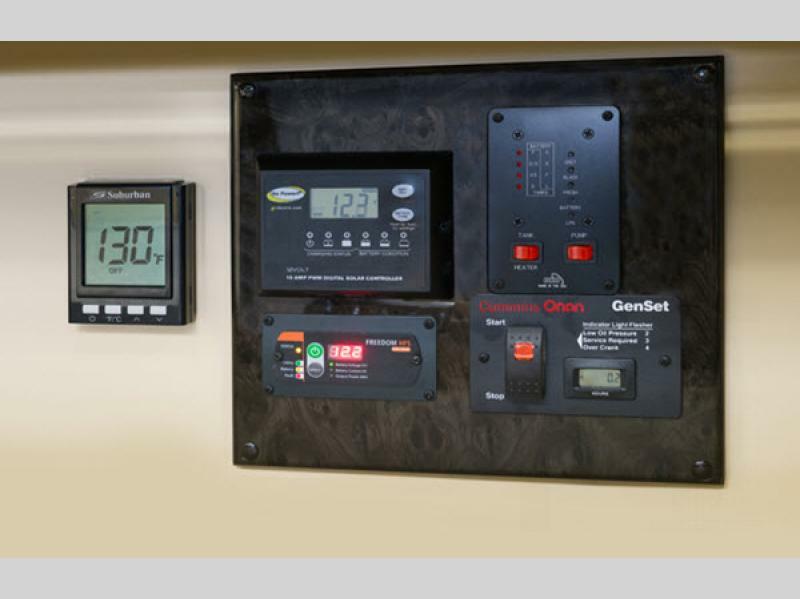 The interior conveniences of a Suburban tankless water heater, a convection microwave, a 12 Volt/110 Volt refrigerator, and a wet bath, you will not miss any of your home amenities while on the go. 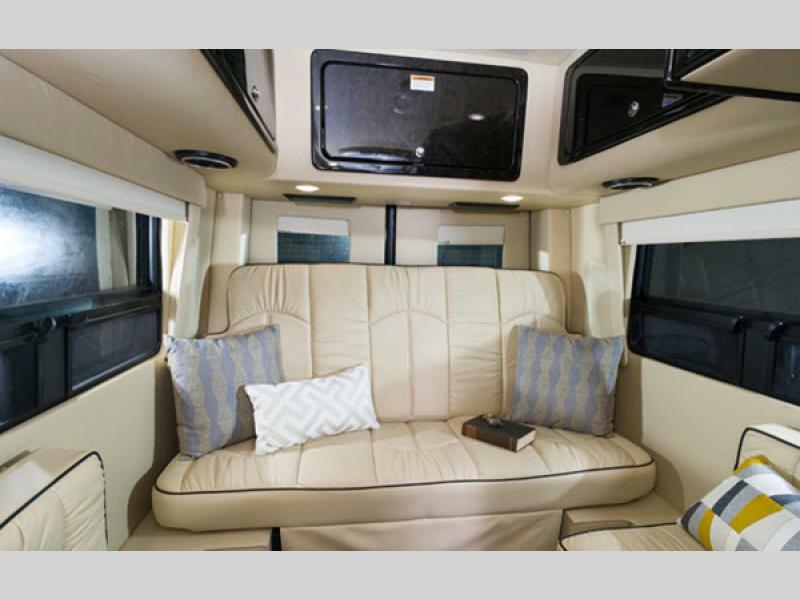 You will love the look of the hand-stitched leather seating and polished wood veneer cabinets as well as the solid surface countertops. 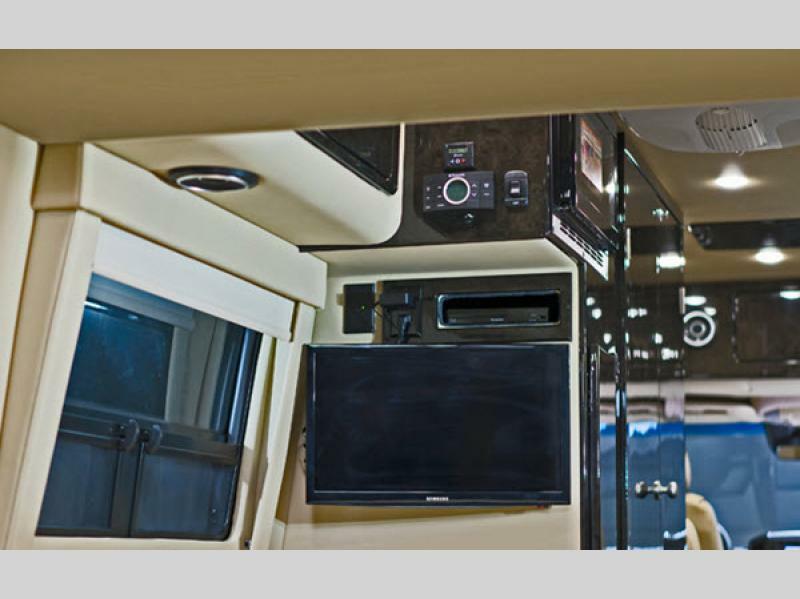 The coach has also been prepped for satellite TV, Wi-Fi, and more! 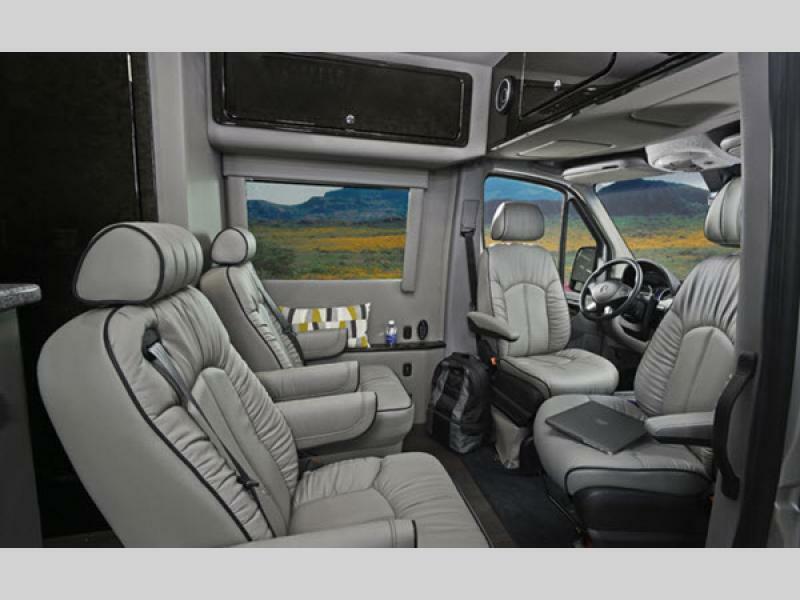 When you are ready to venture to a kid's away-game, a state park, or even your favorite vacation spot, pack up your family and gear in the Midwest Automotive Designs class B diesel motorhome of your choice, and enjoy luxury in your very own Passage motorhome.